[3:27] <cliff1245> I was trying to enable ssh on my raspberrypi by adding a file named ssh to the boot directory on the file system while connected to my windows machine however it isn't reachable via ssh. Does anyone know if what I did was the correct procedure to enable ssh without having to connect to the console? [5:09] <zumba_addict> Good evening folks. What's the cold temperature limit of raspberry pi 3? [5:21] <chisight> in many cases, the cold limit is specified in the temperature where it is guaranteed to start and function. once started, the chip is likely to self heat by quite a few degrees. [5:30] <chisight> heat prevents condensation. relative humidity is often also specified. [6:06] <chisight> is this cold boot temperature, or running temperature after it's already been booted? [8:06] <thebigj> Which wsgi supported webserver is good at Raspberry PI-3? [8:31] <xtore> Do pis ever run on batteries? If so I imagine they have less draw than an android would. But how come there's no projects to give a pi a battery? Liability issues? Regulations? [8:35] <xtore> They're not LiOn rechargeables though, are they? [8:41] <xtore> I wonder if actual cellphone batteries are easy to repurpose. That's in the frugal spirit of the pi, especially pi zero. [8:44] <xtore> If a pi were to serve as a CCTV in a home, a battery that functions as a UPS and voltage stabilizer would be a good edition. [9:13] <xtore> mk-fg, I have this faint recollection of a discussion either here or on some pi board where it was said that the GPIO voltage inputs are not as safe as the usb battery inputs on the pi because there's some extra circuitry that protects against surges in the usb input. Is that true? [9:41] <chisight> you can't power any cpu through an i/o port. [10:08] <burn> Hi, has somebody an idea how I can lock a RI3 screen but still show the actual desktop? [10:19] <chisight> they work great on a 5V arduino. i initially tested them there. [10:20] <chisight> the "required" decoupling capacitor wasn't even needed. [10:21] <chisight> i guess i could add a current limit resistor and measure the voltage drop to see if this thing draws any current on it's pwm in. [10:24] <zleap> is there a new desktop / pi image due out soon, last one was nov17 ? [10:25] <Lartza> Does there need to be? [10:30] <chisight> adapter plate they made. [10:35] <chisight> i don't know about anyone else, but i like when my os doesn't update non critical components while i'm not looking for anything other than security. updates mean function changes and that means something i depend on may be different. for the apps i focus on, i can always add the author's repo to get a recent version. [10:35] <Lartza> "Hey, let's hold these security updates Ubuntu tested for a two more weeks to "test" them"
[10:36] <chisight> debian is about as good as it gets. [10:37] <Lartza> Do you know how to read and follow instructions? Learn? [10:38] <chisight> i would like to get out of raspbian and fully migrate to debian, but raspbian has been habit for a while now. [10:39] <chisight> mk-fg: i'll have to look, but i'm inclined to go right to debian when i switch. [10:41] <chisight> gentoo is pretty awesome but a pi is just not enough machine to maintain your system from source. [10:52] <zleap> Lartza: how long do you think should be allowed for a base arch install? [11:10] <gordonDrogon> chisight, most 5v kit will work with 3.3v signals (and a 5v power input). 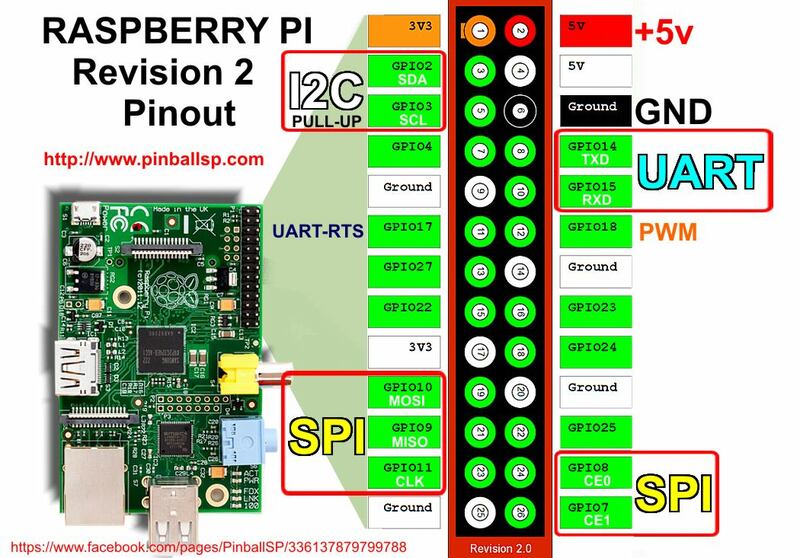 I've used similar servos on the Pi without issues - do make sure you use pigpio or servoblaster, or a dedicated I2C servo driver board for them if you want more than 2. [11:11] <chisight> gordonDrogon: thanks. pigpio is a familiar tool, so probably will be my choice. [11:12] <chisight> i guess i better finish this load tester and see how much these power supplies can deliver. [11:13] <gordonDrogon> that's the other issue - servos can cause a current sruge on th 5v line - best to power them separately if you can. [11:14] <chisight> i was thinking an extra 1000uF on the leg to the pi and a current limit resistor or transistor on the servos. it might slow it down some, but i don't think speed is a critical issue here. [11:16] <chisight> limiting acceleration might actually be a plus, this is a camera mount. [11:24] <gordonDrogon> I'd stick that cap. as close to the servo as possible. no need for any current limiting or drive transistors - the signal input is not the power to the motor. [11:46] <chisight> the reason for current limiting the motor is to not draw more than the power supply can deliver. [11:47] <chisight> i don't want to starve the pi of power just to get the servos to turn faster than i'd want them to turn anyway. [11:47] <chisight> a cap at the servo probably is a good idea, to make sure it has enough power to "unstick" from the stationary position. [11:59] <chisight> for under a buck each, i somehow doubt these are anything but analog. [12:11] <chisight> http://www.agamem.com.tw/productPDF/AA51880_S.pdf is the chip in mine. [12:18] <chisight> BurtyB: http://www.arduinoos.com/wordpress/wp-content/uploads/2016/02/agamem-agamem-microelectronic-inc-aa51880_2c5f85b8c0.pdf too. [12:18] <chisight> looks like their lack of information has encouraged others to publish the data. [12:25] <chisight> yeah. as if it was going to actually stop anyone from cloning their chip. [12:33] <chisight> this little thing is surprisingly well made for what it is and what it costs. they even bothered to put 2 little cuts into the pot's wiper to help it make reliable contact for longer. [12:38] <chisight> them make a variant that does continuous rotation for no extra cost. [12:43] <chisight> that's hard to imagine. analog can be very picky. and a pot is by no means cheap compared to the simplest of switches. springy metal, and a contact to brush against. [12:44] <chisight> that's pretty much the same thing as a pot minus the fancy 3/4 round resistor. [12:44] <gordonDrogon> no-one has made a cheap encoder from scratch for the others to copy. [12:46] <gordonDrogon> and these type of servis have been used a noisy, oily, dirty RC planes for about 50 or more years now, so they're reliable enough. [12:47] <chisight> digital logic is cheap and reliable. analog is costly and finicky, but proven designs refined over the years has something to say for it too. [12:47] <chisight> make it better!!! [12:48] <chisight> ok, better is the enemy of good enough. [12:50] <chisight> the reference design shows 7 caps, 7 resistors, 2 transistors, the chip and the pot. that's gotta make for some slim margins after adding a 3 piece case, 5 gears (3 of them doubles), 2 shafts, the motor, and 4 long specialty screws to hold the whole thing together. [12:53] <chisight> yes, it'd have to have a stop to cause a detectable current rise without movement (analog again) so that it can find the end. [12:53] <gordonDrogon> actually.. grey encoders can be absolute too. it just depends on the depth of the code and if you decide to repeat it over the arc or not. [12:54] <gordonDrogon> simple pulse encoders (e.g. mouse) aren't absolute. [12:55] <chisight> the cheap simple 2 switch one i came up with wouldn't be absolute until it hit a reference point. could be a 3rd switch at center maybe. [12:55] <chisight> BurtyB: yeah, which is a big dent in a sub $1 product. [13:03] <chisight> 10k pricing for 402s seems to be around .1 pence per component. say 4x for the big cap and the analog is around 2P not including the pot. so not that big a dent in the margins. [13:11] <chisight> the real incentive would be the margins made on continuous rotation micro servos. modded servos sell for a pretty penny and in this situation, continuous is actually less than free, you remove parts to get it. a 4th wire for feedback would add cost and even more profit. [13:27] <akinode> hello, can anyone tell me why the i2c_smbus_read_word_data function only requires the filedescriptor and the target register as values? wouldnt that be cause for ambiguity if i had multiple i2c devices connected? [13:40] <akinode> gordonDrogon how so? where does that id come from? [13:44] <akinode> say if i had two i2c devices at 0x70 and 0x71 and i wanted to read register 0x04 from both of them one after the other, what would my code roughly look like? [13:49] <akinode> another probably dumb question, is it possible to connectt multiple i2c devices to a raspberry using the gpio pins? [13:50] <gordonDrogon> akinode, sorry - was afk. you need a separate descriptor to talk to multiple devices. [13:50] <gordonDrogon> and I2C bus can have up to 127 devices. [13:51] <akinode> right, but i cant connect them all directly to the raspi right? [13:51] <akinode> you mean without using a multiplexer? [13:51] <gordonDrogon> 2 wires from the Pi to the first device, then to the 2nd device, then the 3rd and so on. [13:51] <gordonDrogon> I2C devices have a different address. [13:52] <akinode> but where do i connect the second and third and fouth device? [13:52] <gordonDrogon> however there are i2c bus multiplexors that let you e.g. turn one i2c bur into 8 separate ones. [13:52] <gordonDrogon> akinode, you daisy-chain them. [13:52] <akinode> the first one obviously goes to the designated i2c pins but how do i connect the other ones? [13:53] <gordonDrogon> one after the other. [13:53] <gordonDrogon> it's a bus. [13:53] <gordonDrogon> i2c is designed to be daisy chained. [13:55] <akinode> okay, so is it possible to have multiple i2c buses simultaneously on a single raspberry pi? [13:58] <gordonDrogon> yes, but no. [13:58] <gordonDrogon> you only have one I2C BUS on the Pi. [13:58] <gordonDrogon> That BUS can talk to many I2C devices. [13:59] <gordonDrogon> One at a time. [13:59] <akinode> is there any kind of overhead the more i2c devices are connected? [14:00] <akinode> do you roughly know how big that overhead is? [14:00] <gordonDrogon> but... before going on any further, it's clear you've not used I2C, so may I ask your application? [14:01] <gordonDrogon> how large, and how far from the Pi? [14:02] <gordonDrogon> there is another bus - 1-wire - that supports digital temperature sensors - 100's of them if wired correctly. [14:02] <gordonDrogon> however the Linux 1-wire driver isn't fast, neither are the sensors so it takes about 0.8 seconds to read one. [14:02] <shauno> what on earth are you doing that needs 50 temperature points in 50cm? [14:02] <akinode> so one last question, are there devices besides the pi that support parallel i2c buses? [14:03] <gordonDrogon> yes, but you're overthinking it. [14:03] <akinode> what kind of device? maybe an arduino variation? [14:03] <gordonDrogon> e.g. one I2C analog chip can have 16 inputs. You only need 3 or 4 of those chips then - plus the sensors. [14:07] <shauno> right, it'll just let you recycle addresses. [14:07] <gordonDrogon> nothing will make that overhead go away. [14:07] <gordonDrogon> tell us more - how often do you need to read the sensors? [14:08] <gordonDrogon> one arduino can talk to 50 1-wire sensors. [14:08] <gordonDrogon> so can one Pi. [14:09] <gordonDrogon> right - again, how often do you need to read them? [14:09] <shauno> and why are you so attached to i2c? [14:09] <gordonDrogon> once a second? 100/second? How fast? [14:09] <gordonDrogon> what's the sensor? [14:10] <gordonDrogon> got a part number? [14:12] <gordonDrogon> ok. you can have 8 of those on a single I2C bus. conversion time is 33mS minimum. [14:13] <gordonDrogon> so with a multiplexor, you could have 64 of them on a Pi, then it would take you just under 2 seconds to read all of them. [14:14] <akinode> but apparently not..
[14:15] <gordonDrogon> so you then read 8 at once and pass the data back to e.g. a Pi. [14:15] <akinode> you think this is a valid way of going about this problem? [14:16] <gordonDrogon> I'd use an ATmega with 1-wire sensors - with those, you can post a command, then read the data later - that way you can set them up to more or less constantly stream the data back. [14:16] <gordonDrogon> however I've used an I2C multiplexor on a Pi - works OK.
[14:17] <gordonDrogon> you'r biggest issue is going to be the physical wiring, no matter what. [14:17] <gordonDrogon> especially at 400Khz. [14:18] <gordonDrogon> however the Pi's I2C driver widgetry isn't the best, so keep the multiplexor very close to the Pi and the wires to it short. [14:29] <chisight> 2 gpio pins per bus.